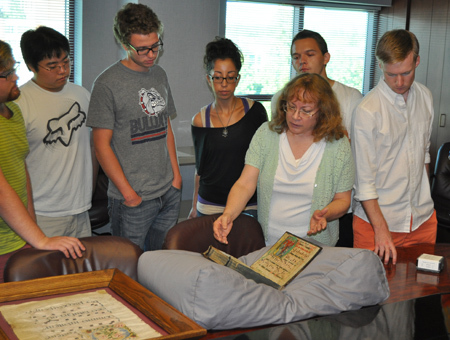 University Archives & Special Collections (USAC) supports the use of its materials for research and teaching at Gonzaga. UASC librarians are available to assist with instruction in courses where students are encouraged to use primary sources such as manuscripts, photographs, and rare books. Please contact the UASC librarians to schedule a session in UASC or if you would like to consult with them in designing research assignments or special projects. To arrange a session or consultation, please contact USAC at (509) 313-3873 or uasc@gonzaga.edu.